Angsana Hotels and Resorts’ stunning MICE facilities and dynamic programming ensure the most successful, polished and fun corporate events. 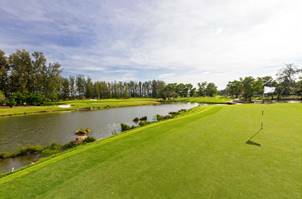 Angsana Lăng Cô, Angsana Laguna Phuket and Angsana Bintan are located in an array of sought-after destinations, each of which has a specialised events team and a wide range of complimentary leisure and recreational activities including luscious golf courses. The in-house teams produce seamless and stress-free events while helping add value and excitement to every planner’s programme. As Earthcheck-certified sustainable events operators, Angsana offers an unparalleled Meet for Good incentive programme, allowing groups to contribute to the community and protect the environment. The resorts ensure that the impact of each event is quantified and all sustainability needs from venues to vendors are addressed. Additionally, several Meet for Good activities such as, visits to the orphanage or nursing homes, beach cleanup, cooking local dishes for the elderly and giving language classes to disadvantaged children, can be organised for participants at various properties. Discuss business on a championship golf course, relax with a spa treatment, or visit the awe-inspiring UNESCO World Heritage Sites between meetings or stroll on the golden sandy beach. Set amidst breath-taking views of the Truong Son Mountain Range and the East Vietnam Sea, guests can experience memorable corporate retreats at Angsana Lăng Cô. The property offers six meeting venues, four meeting rooms fully equipped with state-of-the-art facilities and modern amenities and a 392-square-metre glamourous grand ballroom able to host a gala, banquet or a formal dinner for 400 guests. Angsana Bintan offers the perfect corporate getaway just a stone’s throw away from Singapore, where teams can enjoy a productive and simultaneously rejuvenating corporate experience. The lush tropical landscape and beautiful white sands of Tanjong Said Bay, will stimulate team members to think outside the box and conjure fresh new ideas. 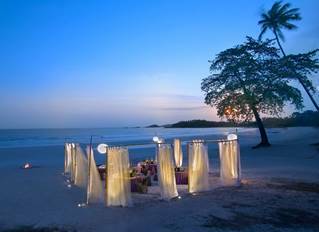 Angsana Bintan offers a beachfront venue with meeting rooms where guests can host al fresco meetings by the sweeping South China Sea. Two meeting venues allow for a total capacity of 132 people, topped off by 111 guestrooms and suites as well as an array of exciting outdoor activities. Angsana Bintan is an inspiring retreat where guests can be one with nature. Enjoy recreational facilities such as its 18-hole championship golf course, award-winning spa, ATV rental and trekking adventures. Click here for more information on the Successful Meetings Package and click here to view unique itineraries offered at the property. 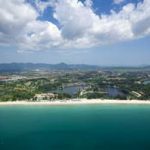 Meet on Bang Tao Bay and discover extraordinary MICE opportunities at the vibrant Angsana Laguna Phuket, only 15 minutes from International Phuket airport by car. 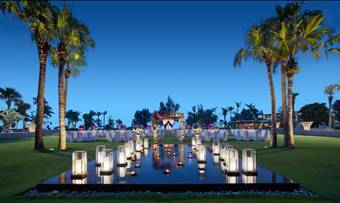 Whether it’s cocktails by the lagoon, formal dinner on a moonlit beach, an elegant ballroom gala or an enthralling teambuilding activity, Angsana Laguna Phuket offers guests infinite business and leisure experiences. The property features 11 meeting spaces, four outdoor venues and a 358-square metre grand ballroom, complete with sophisticated meeting amenities and a dedicated team of experienced event planners and organisers. Click herefor more information on the meetings packages offered at Angsana Laguna Phuket and click here to view unique itineraries offered at the property.